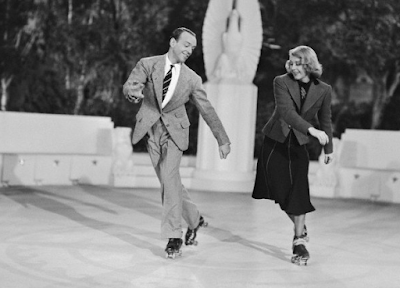 Let's Call the Whole Thing Off is a song from the movie ‘Shall We Dance’ (1937). The main characters - Fred Astaire and Ginger Rogers are dancing on roller skates and they are singing...not only singing but having a dispute about everything that is going wrong. Basically, the song is about misunderstanding and how it may be overcome. According to the Wikipedia about this song, the difference in pronunciation reflects not a regional difference in spoken English, it identifies a class difference. The video clip with background sounds from the voices of Ella Fitzgerald and Louis Armstrong also includes pictures related to the words in the text. The conclusion of the song is that the most opposite people become close to each other if they have Love.